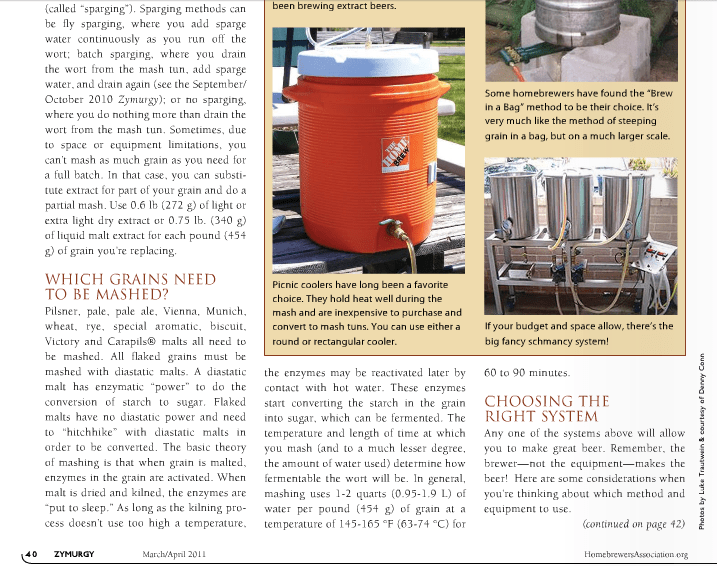 Boreal Brewer Chad H. was surprised when he read through the March/April edition of the Zymurgy Magazine to see a picture of his mash tun. “I saw an orange cooler, and thought, geez, that looks just like mine. I looked closer and recognized my writing on the cooler and wood on my deck.” The author had found the picture from one of Chad’s web sites.